The video above is a short trailer for the documentary I produced titled Ding Dung Ditch and an introduction to the problem that CashTrash is trying to solve. CashTrash leverages mobile technology to increase the transparency, value and efficiency of the waste management system. Currently, the value chain of each recyclable is too long to be profitable. We aim to eliminate the middlemen and empower trash scavengers to sell recyclables straight to their buyers. 89% of the waste are not recycled or composted - this is an untapped potential! From the households or corporations, the waste would be thrown to an in-site dumping area (a communal trash bin) and from then the bin man would pick them up daily. Trash scavengers would sort the waste out from these households and sell them to their boss (one of the middlemen). The landfill is the final destination for the waste. 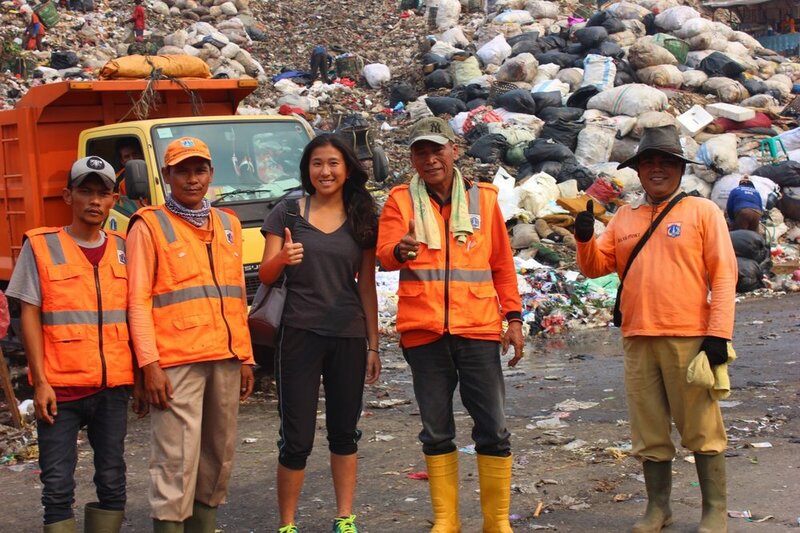 Bantar Gebang is the landfill for 20+ million residents of the Greater Jakarta Area and home the "office" for over 10,000 trash scavengers, who collect the trash fresh from the truck. All the recyclables that they collect will be sold to their boss, and the rest remain in the landfill. We recognize that the waste management problem is not at all an easy one to solve, and we believe it takes a collaboration between the government, corporations, NGOs and the public. CashTrash offers a first-step solution to the waste management problem, in hopes of a more impactful change in the near future. CashTrash leverages mobile technology to help economically empower trash pickers and make the recycling business more profitable. By the time recyclables reach the factory, they are twenty times the original price collected by trash pickers. 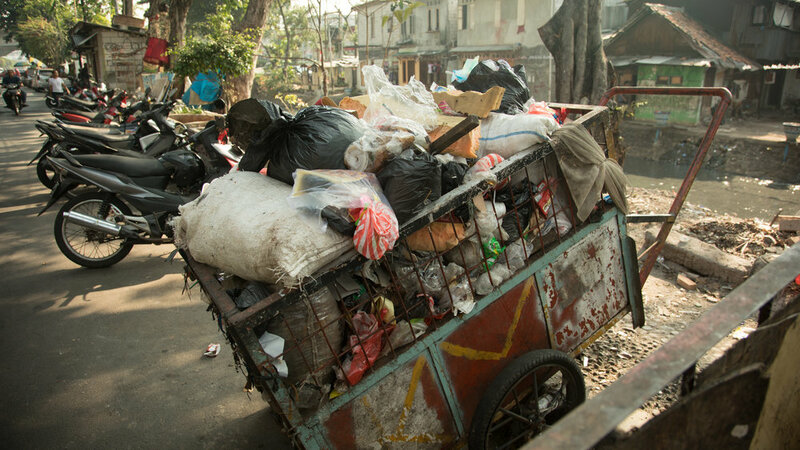 We aim to shorten the value chain by giving trash pickers direct access to the buyers. First and foremost, trash scavengers have mobile phones (even though they don't have toilets - but that's another issue!) We plan to directly connect them to the recycling factories through mobile application and making the buying/selling process more transparent. We will arrange the transportation and logistics - pick-up time will be arranged in the mobile app, and it will be delivered straight to the recycling center. Recycling companies would be connected straight to the trash scavengers, without going through the middlemen. A fee will be charged to the factories, but all profits will go towards improving the communities of trash scavengers.